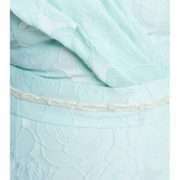 Anoola D096 mint green bardot off the shoulder collar dress. This beautiful mother of the bride or groom knee length dress with feature raised and v neckline collar is a must see. 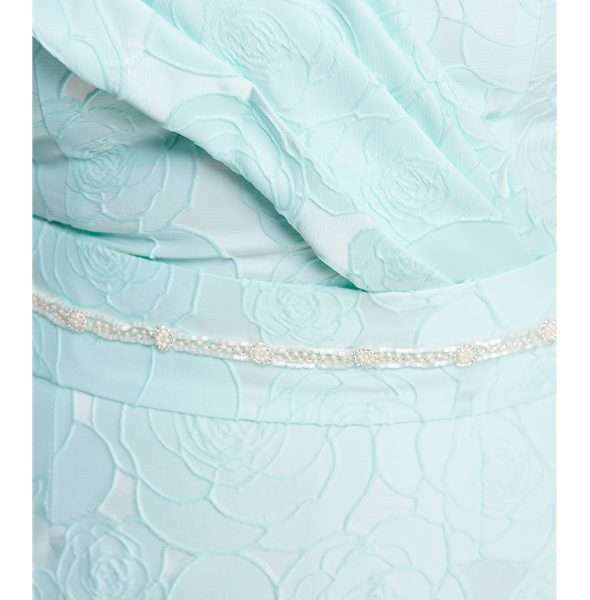 In mint green with floral brocade fabric this dress is simple straight fit with past elbow length sleeves and feature beaded waist detail. The dramatic pleated raised off the shoulder collar of the dress continues around the back and has pretty covered buttons. The brocade fabric is soft and breathable making it easy to wear and a perfect choice for the stylish mother of the bride or groom.